Cordless chain saws powered by two 18V Li-ion batteries in series. New adjustment lever for easier tool-less saw chain / tension adjustment. Battery capacity warning lamp. Electric Brake, Automatic Oiling, Chain Brake and Soft Start Tool does not come with batteries and charger. Cordless chain saws powered by two 18V Li-ion batteries in series. - High performance - High torque thanks to outer rotor Brushless Motor. - Variable Speed, Constant Speed, Electric Brake, Automatic Oiling, Chain Brake and Soft Start. - Tool does not come with batteries and charger. 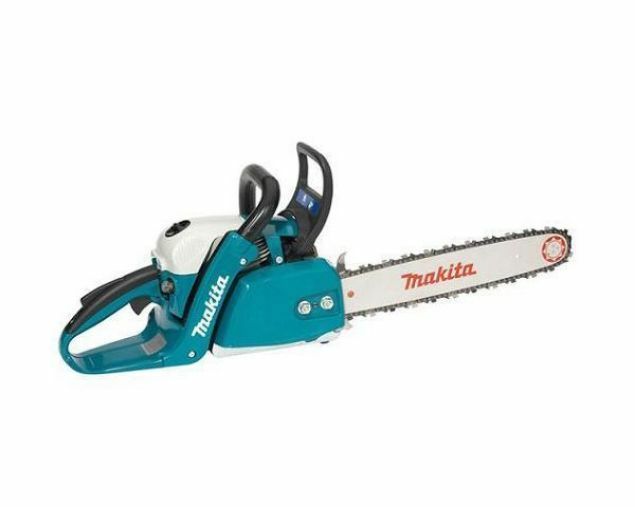 Handy introductory chainsaw for thinning out wood, sawing fire wood and for felling small trees up to approx. 30 cm in diameter. Light and easy to handle. Convenient single lever master control. Robust, durable with a more powerful engine that develops considerable torque even at medium speeds. The perfect helper for a whole variety of sawing jobs on farms, orchards, gardens as well as for local authorities.